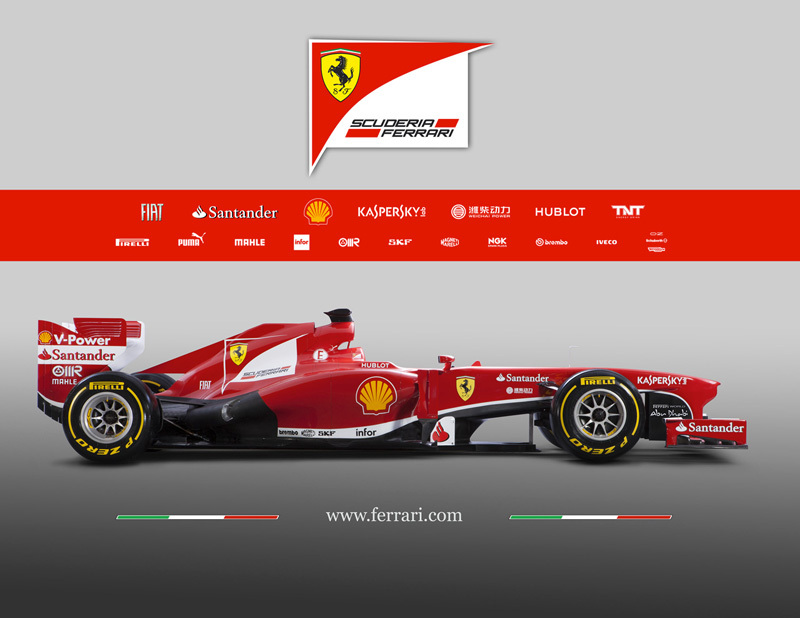 What do you expect from Ferrari in 2013 ? 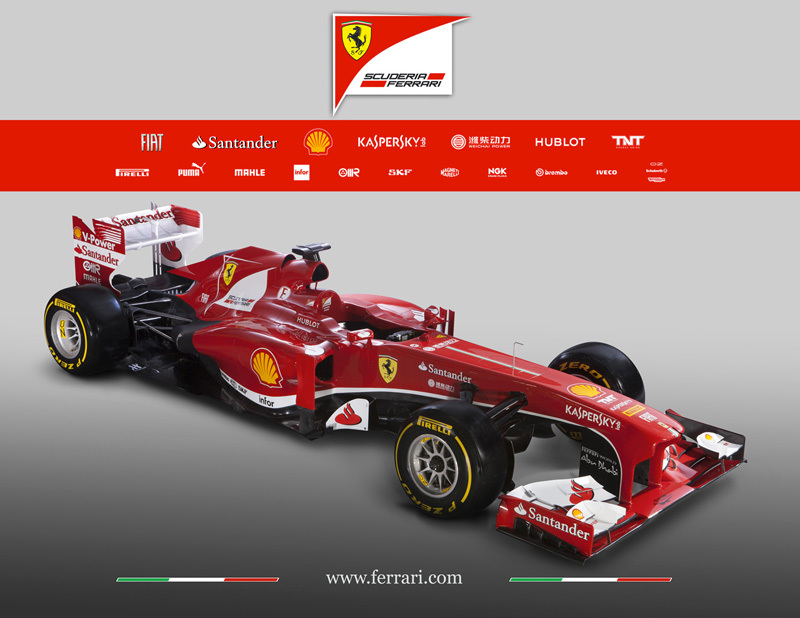 1 February 2013 - The F138 is the fifty ninth car built by Ferrari specifically to take part in the Formula 1 World Championship. The name comes from a combination of the current year and the number of cylinders, to mark the fact that this is the eighth and final year of competition for the V8 engine configuration. The project, which goes by the internal code name 664, is the first design to come from the reorganisation concerning working methods that has been in operation for several months, with the creation of two distinct groups of designers: one working on this car and the other on the completely different car which will race next season. This car constitutes the Scuderia’s interpretation of this year’s Technical and Sporting Regulations, which in fact are substantially the same as those from last season. Therefore the F138 can be seen as an evolution of the F2012, in terms of its basic design principals, although every single part has been revised in order to maximise performance, while maintaining all the characteristics which were the basis of last season’s extraordinary reliability. The design philosophy of the suspension layout has not changed and it continues to use pull-rods both front and rear, but it has been refined to the limit, in order to gain as much aerodynamic advantage as possible, especially at the rear. The bodywork elements have been redesigned to allow for changes to the positioning and layout of the exhausts. The dynamic air intake, mounted above the cockpit has been redesigned, as have been the intakes to the side pods, which in turn have also been optimised in aerodynamic terms, while maintaining unchanged the overall cooling system. The rear of the car is much narrower and more tapered on the lower part. The configuration of the front and rear wings derives directly from the last versions used on the F2012, partly because development of that car ran all the way to the final race of last season. However, the aerodynamic elements shown on the car are only those from the initial phase of development: significant modifications will be introduced in the weeks leading up to the first race and a busy development programme is already planned. The drag reduction system on the rear wing has been revised and optimised to make the most of the modifications to the Sporting Regulations that come into play this year. There are detailed changes to the design of the brake ducts, both front and rear and work has been carried out with Brembo on optimising the braking system overall. During both the design and production stages, great attention has been paid to weight reduction and on increasing rigidity. This theme was carried out through all departments working together – Chassis, Engine and Electronics and Production – which bears witness to the importance of being able to design and build a car with everyone working side by side in the same place, which has always been the case at Ferrari. The engine on the F138 is an evolution of the one fitted to the car last year, inevitably given that the technical regulations forbid modifications to internal components aimed at improving performance. Given the consequent difficulty of finding performance increases through internal modifications, work was intensified on ensuring that the engine’s performance level remained as high as possible throughout the lifecycle of each power unit, which has now reached an average life of three races. The kinetic energy recovery system retains its location in the lower-central part of the car, a strategic choice which has always been adopted by the team, partly with the aim of ensuring maximum safety. Once again this year, a great deal of effort has gone into reducing its weight and size, at the same time improving the efficiency of some of its components and, as in the case of the engine, maintaining the highest performance level throughout the KERS usage cycle. The technical collaboration with Shell, which has run for several decades now, has led to further progress on the fuel and lubricants front, aimed at increasing performance in overall terms and also on maintaining it throughout the engine’s life, as well as reducing consumption. As for the electronics, it is worth noting the introduction, ahead of schedule, of the single control unit that will be used in 2014. This has involved a lot of work to integrate and control all its features in terms of both software and hardware. In keeping with a Ferrari tradition, much time has been dedicated to the performance and improvement of the materials used, at the design stage of each of the six thousand or so components which make up the car, in order to make all the on-track work more effective and efficient. Obviously, quality control remains a vital aspect, with the aim of achieving the highest levels of performance and reliability, at the same time as maintaining the highest safety standards possible. With only twelve days of testing available before the start of the Championship, the preparatory work on the test benches prior to the car’s track debut, has taken on even more importance. The three test sessions – at Jerez de la Frontera and Barcelona – will allow the team to get to understand the behaviour of the F138 and to adapt it to the new Pirelli tyres: in fact, tyre use is an area that has seen a lot of work both at the design stage and in its management at the track. Also very important and something that will not only be restricted to the winter months, has been the effort invested in areas that could influence the result of a Grand Prix, such as the team’s pit stop work, reduction of time spent going through the pit lane, strategy management and the start procedure. “I liked this presentation,” was Ferrari President Luca di Montezemolo’s opening remark to a crowd of journalists immediately after the F138 launch. “I felt a special atmosphere, right from the start of the morning when I left my home in Bologna. We had not seen fog here for a long time and it reminded me of the 1997 presentation, the year when Ferrari began its winning cycle. “During the ceremony, I was moved by the tribute to the Avvocato Agnelli, someone who was very important in my life and whom I miss a lot, a man who was of fundamental importance to Ferrari on so many occasions, at the race track and in the factory. As for the wind tunnel, Montezemolo set out the reasons for not using the one in Maranello. “We had our doubts as to the correlation of data from the wind tunnel and the track, therefore we decided to close the Maranello wind tunnel, to update it while concentrating only on the Toyota wind tunnel. This will be important, especially in the coming months for the development of the car. I hope that, after the summer break, the rebuilt wind tunnel will open again here at Ferrari.” As for the idea of Vettel driving for Ferrari, Montezemolo said that it was not possible to have the German teamed with Alonso. As for the third driver, the choice is between De la Rosa and Bianchi and the question is under discussion at the moment. Alonso had a great year (despite the narrow loss) in 2012 and at the end of it Massa was driving very well too. However, development time has been compromised because of the close title fight last year, and unless there are multiple winners as per last year I imagine others (quite possibly McLaren) will have a distinct advantage early in 2013. Ferrari is the symbol of victory in F1. Behind it there are many factors like their team work in changing and guiding, their accuracy in deriving. It comes only when they train their drivers in an efficient and compact manner. As they become habitual to drive a car like a true racer.